Make that chicken sizzle on and off the grill with all natural Mrs. 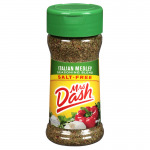 Dash Chicken Grilling Blend. 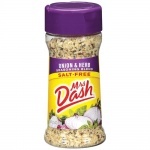 This grilled chicken seasoning has garlic, onion and coarsely ground, plus other salt free spices like chili powder and basil to take your chicken to new grilling heights. 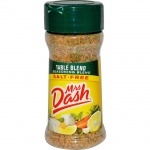 This chicken seasoning is also perfect for pork, turkey, fish and salads.